It may be useful to read this page in conjunction with Pwm motor speed control. 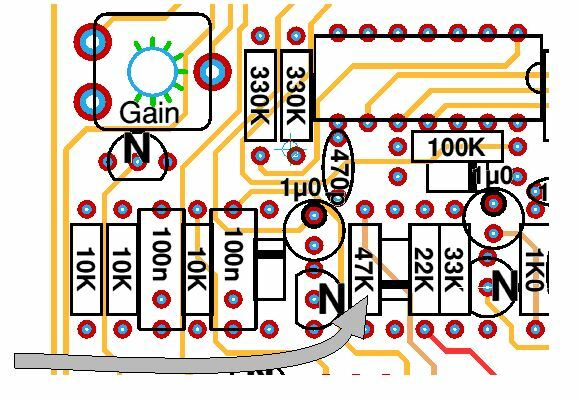 This page will give an understanding of how pwm works and the circuit in this page also uses MOSFET sensing for the current limit. All controllers made by 4QD limit the drive current by sensing the voltage dropped across the MOSFETs when they are conducting and, if this voltage gets too high, the motor voltage is reduced to reduce the motor current. The circuit we use is so successful that we use it on all of our motor speed controllers – except for the 4QD, which although it uses the same principle, has a slightly different circuit. Therefore, although this page refers specifically to the Pro-120, it can be applied to other controllers – if you understand what you are doing. This sensing is done on a pulse-by-pulse basis and is very fast, operating within about 2 microseconds, so the chance of the MOSFET current ever rising too high, even by virtue of a direct short circuit across the motor output terminals, is virtually zero. Sensing the MOSFET therefore makes the controllers operate within the safe operating area of the MOSFETs – but the sensing element is of course temperature sensitive, so the sensed current will fall off as the MOSFET junction temperature increases. This is, of course, exactly as it should be for MOSFET safety! But it does mean that the current limits not an an absolute value but at a MOSFET safe level – so the limit is not ideal for use as a current measurement! The value of the current limit will also depend on the motor’s resistance. A low resistance motor will cause the MOSFETs to attain full sensed voltage with only a small duty cycle. A high resistance motor will require a longer duty cycle to attain the MOSFET sense voltage. Now a small duty cycle will cause heating in the MOSFETs to occur for less of the cycle that will a high duty cycle, therefore the MOSFETs will get less hot with the short duty cycle and the limited current will be higher than with the high resistance motor. Thus 100 amps in a 10milliohm resistor will dissipate (I²R) 100 x 100 x 0.01, or 100W while it is flowing. For a 10% duty cycle this will be an average of 10 watts. But for a 90% duty cycle, it would average 90 watts! This extra heating increases the MOSFET resistance, decreasing the sensed current! For this reasons, current limit values are not absolute! However this ‘duty cycle’ effect will clearly reduce as the MOSFET sensed voltage reduces! The Current limit on the Pro-120 is nominally about 160 amps as standard. This can be reduced by reducing the value of the 47K resistor indicated in the diagram below. 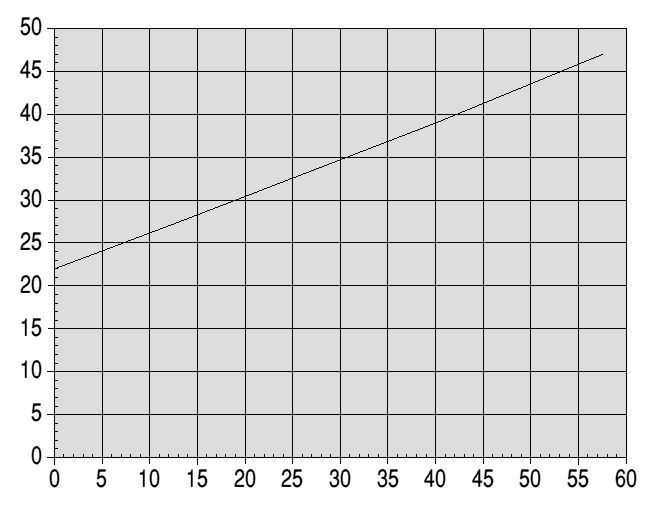 The graph shows the way the current is linked to the resistor value. Resistance in Kohms is the vertical axis, current per MOSFET is horizontal. This graph is calculated from theoretical values but MOSFETs are getting better with time and component values do vary. In particular, the better the MOSFET, the steeper the slope. The line shown is for a MOSFET with about 12 miliohms Rds(on). Nevertheless the graph is a good approximation to what you may expect. The calculations assume the MOSFET is not getting very hot, so you will need a low resistance motor (low duty cycle) to get these figures, especially at high current limits. The 47K resistor fitted gives about 57 amps/MOSFET – there are three in parallel, so the expected resultant current is around 170 amps. In practise, on test, we measure about 160 amps – there are stray circuit resistances which account for the difference. For 80 amps limit, look at 27 amps per MOSFET, on the horizontal axis and you get a value of around 33K for the resistor. For other current, chose pro-rata. Either replace the resistor, or fit one in parallel to give the required result. Note that a value of somewhere around 22K will give a nominal zero current! The actual value will be very badly defined, as the controller effectively limits to give a series of short pulses – length determined by the internal reaction time of the current sensing circuitry. How much current these short current pulses establish in the load is entirely down to the load impedance. However, into a short-circuit the current can be high enough that the MOSFETs quickly heat and melt, so the controllers are not guaranteed short-circuit proof. In practise, the speed of overheating is several seconds – quite long enough for most users to realise there is a problem – but the ‘length’ of the short circuit will affect it as the lead inductance becomes important. Values of less than around 22K will cause the controller to stop working completely! The position of the current limit resistor is indicated on the page Key Components, item 21.